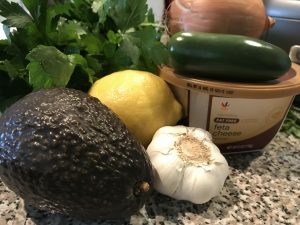 This dip is an all time favorite in my household. It’s by far my most requested recipe and is a staple at every single get together, football game or birthday party we host. It’s also something I bring to pot lucks and barbecues a lot and we’ve never left with anything other than an empty dish. 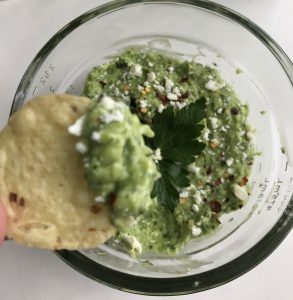 I will say the magic behind this dip is I don’t use the traditional guacamole ingredients. Switching up your citrus and herbs from the traditional lime and cilantro wouldn’t seem like a big deal but it changes the flavor profile a lot. 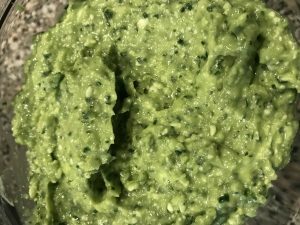 In a food processor combine garlic, onion and jalapeño, pulse 5 times, add avocado, lemon zest, parsley, healthy sprinkle of salt and pulse another 5 times. Add in feta cheese and lemon juice, blend on low until smooth or desired consistency is reached. Top with a pinch of crushed red pepper and more feta. Serve with tortilla chips and veggies. We like to blend ours smooth so it has more of a dip consistency but you could leave it chunkier if you want to. Either way, a food processor is going to be the best tool to make this. My food processor was one of my first big kitchen purchases and I love it! One secret tip, if you don’t like to spend the time chopping veggies by hand, throw everything into the food processor, pulse a few times and you’re done, no knife work needed. 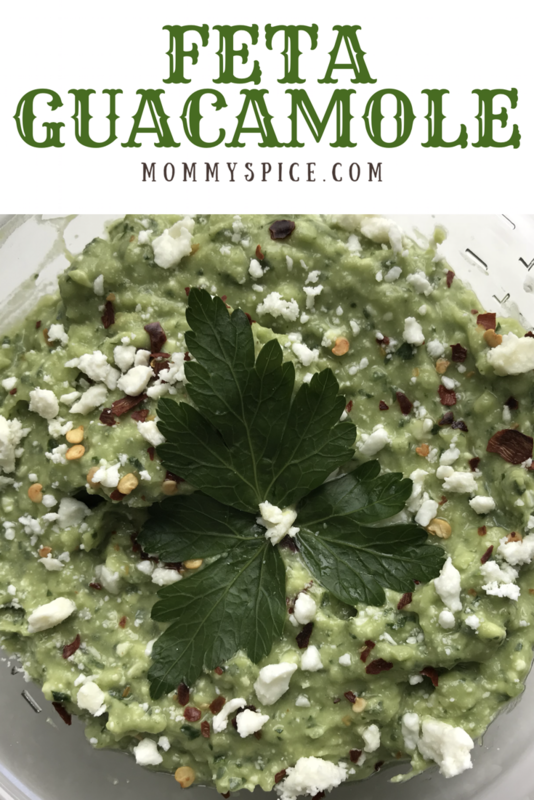 Now back to our yummy guacamole, don’t let the fresh jalapeño scare you away, my kids eat this dip no problem! 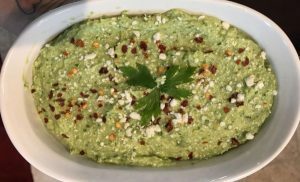 If you’re worried about spice, leave off the crushed red pepper as its spice is more front and center on top of the guacamole. My tip for this is to double it for parties or pot lucks, if you end up with any extra, another squeeze of lemon juice on top and the dip will keep in the fridge another 24+ hours.